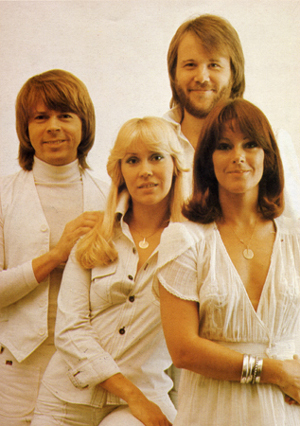 These days I don't think "I'm going to play ABBA", but whenever I hear an ABBA tune on the radio / mp3 player, I smile and just revel in the quality. Even if it is one of the tracks I am notTHAT fond of - there are three, "Fernando", "Chiquitita" and for some reason "Thank You For The Music" - I cannot criticise the workmanship and extraordinary craft that is in the songs. 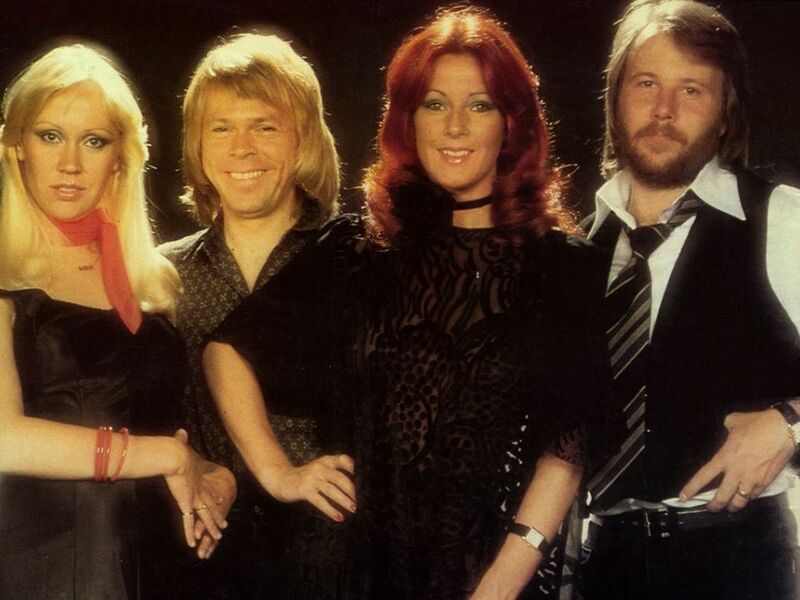 ABBA were a globe conquering group from Sweden - following their 1974 Eurovision win ( "Waterloo" ) they had a succession of hits until "Thank You For The Music" in 1983. 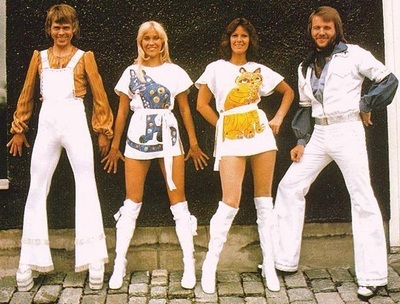 Odd as it may seem now, although they had all had success in the Swedish music scene prior to their onslaught on mainstream pop, the group were on the receiving end of some serious backlash from more traditional Swedish music providers. I guess that I have a soft spot for this group because their songs at various points marked happy times for me. 6th Form at school associates with "S.O.S." Early days at work "Knowing Me, Knowing You" with it's fabulous harmonies (and frankly glorious "ah-haaa"), "Take A Chance On Me" , with it's seemingly tricky vocals and "The Name Of The Game" . 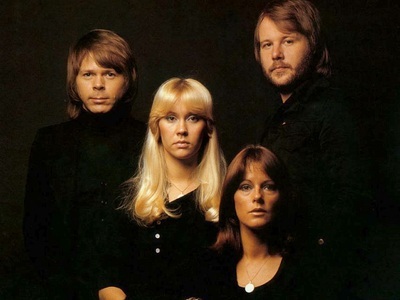 The videos had a style of their own and focussed on the two more photogenic of the band members. I recall discussions about whether Agnetha or Frida was the better looking of the girls - I veered from one to other as each new video came on Top of The Pops. It is possibly still the most "professional" performance I have ever seen at a concert - perfect vocals and musicianship - just like the records. The only criticism was that our seats were so far back from the sound system that my ears were not buzzing afterwards. Being Swedish, and being a bit older than your average wet-behind-the-ears pop stars meant that the emotion in their songs was poignant and meant something. I have heard the melancholy in ABBA songs described as "Goth Pop" - some songs are about very dark, emotional events. 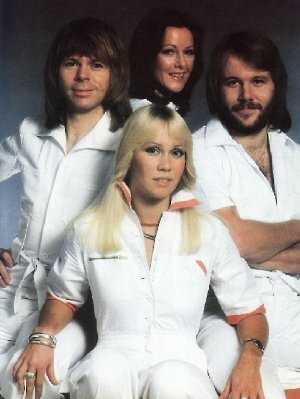 None more so than when Bjorn and Benny wrote "The Winner Takes It All" following the break up of their marriages to Agnetha and Frida - I cannot imagine how Agnetha felt singing the words. 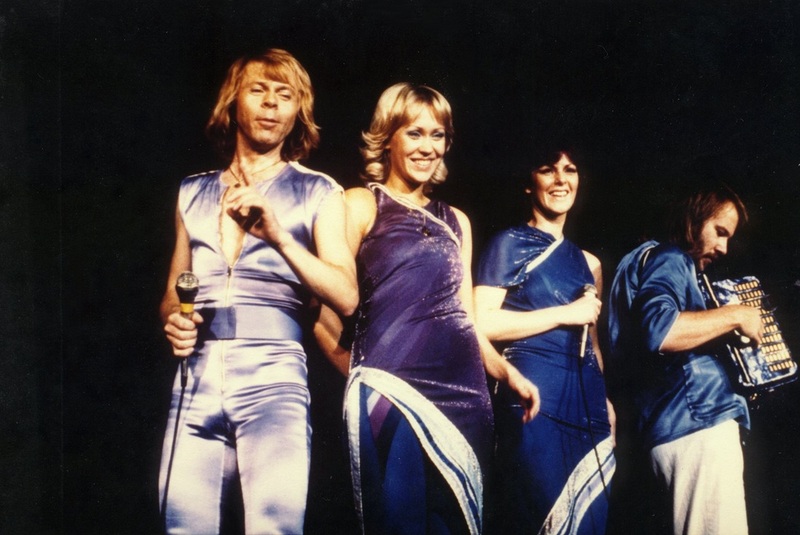 As I have said the hits kept coming until 1982 when, if it is to believed, Agnetha declared that everything was now sad and walked out for the last time after recording the vocal for the magnificent "The Day Before You Came". Top quality and no fillers.